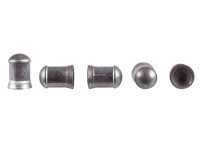 JSB pellets are considered to be one of the premier pellets made today. 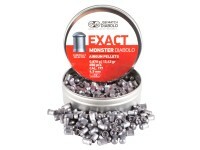 These .177 caliber Monster Exact pellets weigh in at 13.4 grains, which will do the job if you like to hunt or do pest control with magnum air rifles or precharged pneumatic airguns. 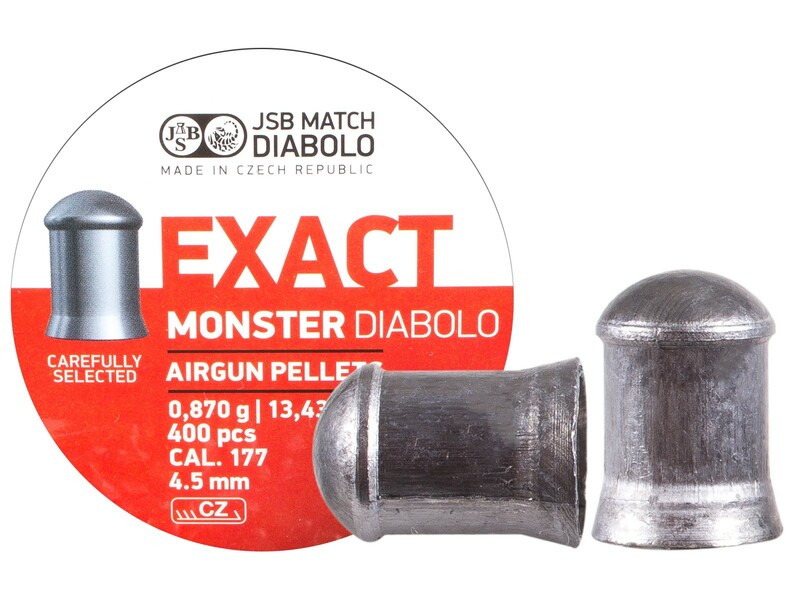 Things I liked: This pellet is the pellet that you have been looking for if you have a Magnun springer the likes of the 350 Diana , the Ruger Mag or other spring or gas ram rifles comparable to the power of the rifles mentioned. They will function exceptionally wel, in big power 177 rifles, pcp alike. Expect flat trajectory at over 50 yards and knock down power comparable to a .22 pellet. 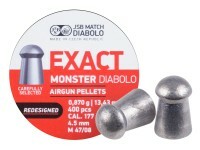 JBS makes a statement of performance with these 13.4 grain pellets. What others should know: If you like to hunt small game with a springer or a gas ram rifle this is the pellet that will tame the .177 magnums. Things I would have changed: I cznt think of a thing. 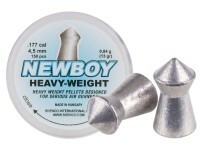 What others should know: The more you shoot these in your airgun the more accurate your airgun becomes. How would these pellets do in a Crosman .177 2400 KT co2 carbine w/no mods except for an 18" barrel? 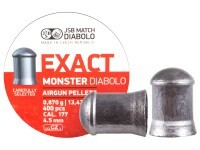 It's presently shooting AA Diablo Field Heavys (10.3gr) flawlessly. Just wanting a bit more knock-down power. What is the Ballistic Coefficient of these pellets? I can't get to the range with my chrony at the moment. Will they fit a hatsan magazine and cycle ?